Pele knew there would be a ceremony for the fallen soldiers soon so she needed to work fast. She was slightly fascinated at the type of magic that that black knight was using and wanted to get a few samples to test out. She questioned around careful not to arouse suspicion or make people think she was doing anything malicious. After figuring out where the evidence and other magic touched items were held, she came to a well kept building with two guards sitting around inside. She opened the door and walked inside causing one of guards to look at her. She assumed they must not get guests often based off of the guard's surprised look. "My name is Pele and I am a contestant in the tournament" Pele stated with some kind of authority "and I would like to look at some of the weapons or equipment touched by the dark knight's magic." This got an eyebrow raise from one of the guards while the other asked "Do you have a permit for that?" "I don't think I need a permit to research a threat to my friends and everyone else in this town" She said with a scowl. The guard sighed "Fine but make it quick before I change my mind and report you"
After gathering a few samples of dark magic she got out of the evidence building and headed towards the arena for the twelfth match. On her way to the match, she was greeted by the sound of many townsfolk talking about the events the days before and about today's match. She was curious about how security would play out with Acyros... out of commission. She couldn't help but think this wasn't just a simple attack for knowledge but something bigger. But she couldn't think about it know, she'd have to bring her doubts up to someone later but right now she should get to the match. She needed Tai to help her with an idea she had with the dark magic and she would have to ask her about it while watching the match. After the walk between the inn and backwoods and as she searched for her friends she saw a female with a bow and hunters garments who appeared to be there in the place of Acyros. I have my bets on Caphria. Another bright flash of fire forced Coltras to cover his eyes when Caphria unsheathed her second rapier. With her burning swords, she charged at her opponent in a surprisingly quick speed, even though her wings were hidden within her body. 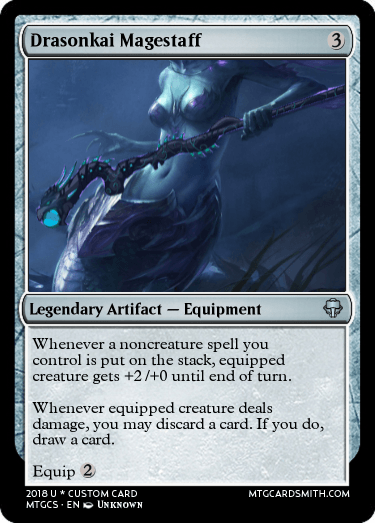 When she was about to stab Coltras with both of her weapons, the merfolk wizard parried the one in her left hand with his staff, but was unable to parry the one in her right hand with it. 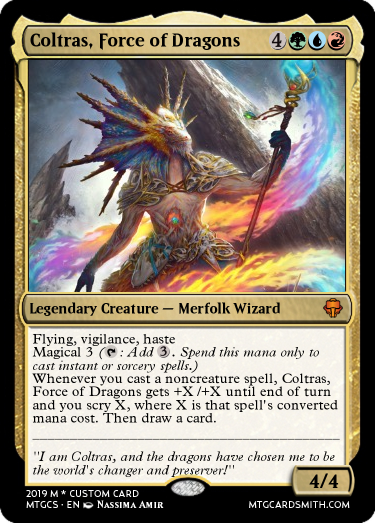 As the point was about to dig into the scales of Coltras's chest, Caphria heard as the merfolk flicked his left hand's fingers, and suddenly the angel's right hand felt very light. When she completed her attack, she realized that the rapier from her right hand had vanished, and she only gave Coltras's chest a light nudge. Coltras chuckled when he saw Caphria's surprised look, then he quickly hit her stomach with his staff. When he did, a blue flash of light came from the orb of the staff, and the shock wave threw Caphria many meters away from the merfolk. The ground's grass softened the landing only a little. Caphria stood up, and looked around. Coltras awaited her next move, and her rapier was lying at the edge of the river. He used some sort of spell, which displaced my rapier away from me. I must have looked stupid! But I won't give up. Even a genius makes mistakes. Caphria started making spinning moves with her remaining weapon while slowly walking towards Coltras. A trail of fire followed when the rapier's blade moved quickly around her. When she suddenly stopped the little flame show, she took a stance and her angelic wings spread out from her back. This impressed many people in the audience, especially the men, and they cheered for her. Caphria smiled a little, and her chest was filled with warmth. Coltras didn't look amused, however. He still awaited his opponent's next move. Few feathers spun in the air as Caphria took flight, then swooped down to Coltras's direction with her rapier ready in her left hand. 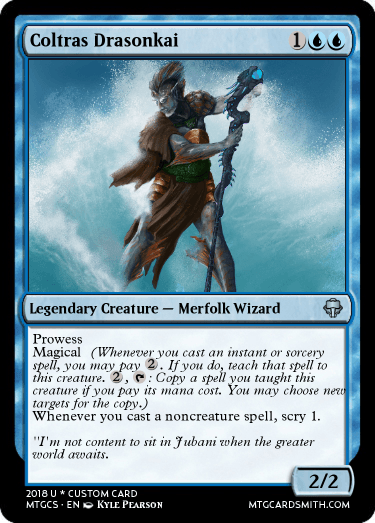 The merfolk pointed his staff towards the attacking angel, and whispered another spell quickly. The rapier vanished from her hand, but she suddenly flapped her wings, changed her position, and kicked Coltras' left shoulder with her right leg's heel. Coltras groaned, took a few steps backwards, and almost fell onto his back. When he regained his balance, he noticed that he accidentally dropped his charm. Caphria, who stood on the ground again, picked the tiny pyramid charm up, and showed it to Coltras while smirking. "Doesn't feel good when you lose your tools, right?" "The only tools one truly needs are their wits," Coltras said confidently. Caphria threw the charm far behind her, and noticed that her second rapier was lying at the other side of the river, many meters away from the other. Then she looked into Coltras's eyes while slowly raising her hands and closing them into fists. "Then show me your true strength, and I'll show mine!" She ran towards Coltras in extreme speed while flapping her wings. The merfolk pointed his left hand at the charging warrior, and shot a blue magic ball at her direction. Caphria jumped with the help of her wings and dodged the spell, but Coltras shot another time, this time upwards. She quickly flapped her wings and moved to the left, barely dodging the second spell. Then she flapped her wings again, and went for another kick, this time aimed to the head. But Coltras predicted Caphria's attack, and blocked it with his staff in both hands. Then he quickly spun the staff so that the orb would hit Caphria's right side. When it did, another blue flash came from it, and the shock wave made her hit the ground hard and roll on it until she was lying next to the river. After a few seconds, Caphria pushed herself up with her shaking and injured hands. She knew that lots of bruises would appear on her body after this match. She looked back at Coltras, who suddenly vanished, leaving a faint, blue aura behind. Then she instinctively blocked a strike with her hands, which Coltras threw at her with his staff horizontally from her left side. The merfolk had warped right next to the injured angel, and was already attacking. 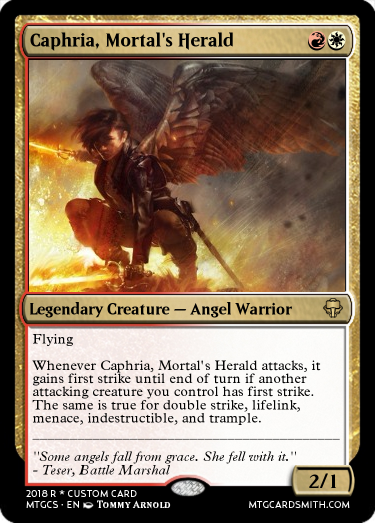 But Caphria's battle instinct controlled her movements. While her heart pounded, she blocked the attack without feeling any pain, then grabbed the staff, pulled it to make Coltras stand on one leg, and kicked his leg to make him fall onto the ground. 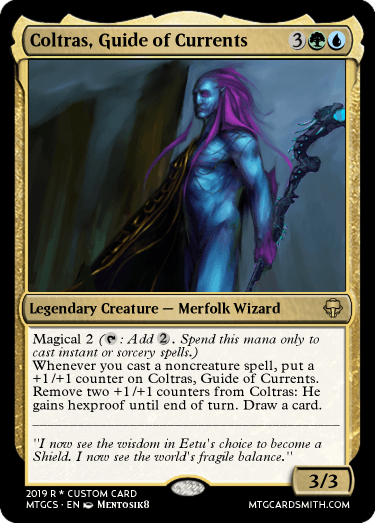 Coltras lost the grip from his staff while falling, and Caphria threw it away while stepping away from the merfolk. When Coltras's face hit the soft ground next to the river, he quickly rolled onto his back, raised his both hands while they were surrounded by blue auras, and controlled the river's water to rise quickly into a tall wall. When he was about to crash it down onto Caphria, he noticed that she was standing right above him, gripping her searing rapier's hilt in her right hand while its tip pointed at Coltras's throat. The angel was breathing heavily while sweating, yet she had firm look, stretched wings, and a steady stance. Coltras Drasonkai, who was also slightly exhausted from the heated battle, slowly lowered his hands, which made the water wall fall back into the river as drops. He knew that if he tried to do any more tricks, he would've tasted Caphria's burning steel. When the two contestants had stared at each other for a few, quiet seconds, the tension from Caphria's face slowly started to fade. "You tried to lure me into the river by placing my weapons next to it?" "Yes," Coltras said in a calm tone. "Water is my element, and I hoped you would've been helpless without your swords or fire." 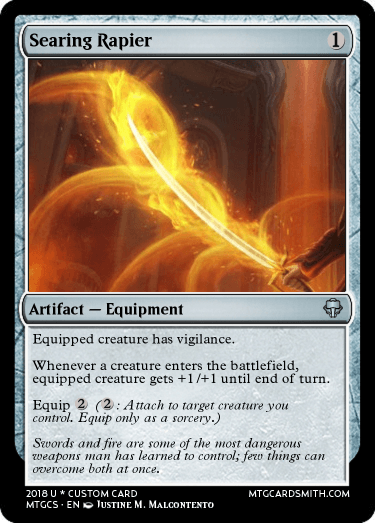 "The fire within me... is not easily extinguished," she said as she slowly moved the rapier's tip away from the lying merfolk, then smiled a little. "And I could see how the sharpness of your mind can't be dulled." Then the angel reached her left hand towards the merfolk, who also smiled a little as he grabbed it with his left hand. Caphria helped Coltras to stand up, and they both walked to the audience's direction side by side. When they were at the middle of the arena, Coltras raised Caphria's right hand towards the sky, her searing rapier burning like the sun. The people cheered, Sir Killian smiled, and he announced the winner of the twelfth match. Caphria flies to the tournament's 2nd round! You may post her 2nd stage anytime before her match in the 2nd round. @ShaperKyon - Coltras's time in the tournament has come to an end, but he will definitely be missed! Only you know what he will do, what he will become, and you may share it with us if you want! The tournament bracket has been updated. The update before that was 6 hours ago. Man, I need to stop wasting so much time! Yay! Caphria! Also my match is close! Sorry for the inactivity. I read through everything and I have stuff ready. Even though I will probably lose because of my lack of story and cards. Miro grew up in a futuristic society that used power from the Aether from the Blind Eternities to power their cities and tools. They also found something to equal the Blind Eternities but darker. The Void was found during a secret illegal experiment and has an Aether-like source that was named Blight. The government took control of the one entrance to the void and used the energy to get money. This power was used by everyone to fuel their vehicles and light their homes but other people found it useful in other ways. Criminals would use it in weapons and traverse it as a means of travel in crimes. This all happened 93 years before Miro was born. Miro was born on the 32nd of Septober in the crime filled city of Burgorg. For the first seven years of her life she was sheltered from the outside world because their parents feared she might get into a life of crime or meet the people they were hiding from. Eventually the people they were hiding from found them and killed them in front of a young Miro. After killing her parents, the organization responsible for it took her in. Until she was 20 years old she was trained to be an assassin but to also use the void to do it. She was able to thrive in the bloodthirsty world by hunting down people for the agency no matter how unjust it was. She eventually met the first actually good person in her life. After conversations with her new friend Alden, who was an electromancer that helped with power trouble in cities, she realized that her career was wrong and she was working for evil people. On her 21st birthday she fled the organization vowing to stay away from them until she could bring them down. She continued training for a couple months until the bloodlust inside of her came back. She channeled this bloodlust with her training to hunt down people inside the organization. Eventually she brought it down and finally felt content, for a while. She eventually grew antsy to start a new life. She eventually took in the lengths her power could go when she used the void to travel to a different plane. She continued to travel through planes doing good deeds and taking down bad people while still learning about different worlds until she ended up her where she signed up for the tournament to keep her content for a while. She watched the first couple matches with interest while studying the contestants. There was a particularly interesting wizard who beat a monkey in the first round and Fae with magic dust in the third. She also ended up trying some stuff called ice cream from a young pyromancer and an ethereal god. "This match was weird, there was a druid and than a strange little creature obsessed with potatoes. They seemed called him a goblen and I thought he might have a few- no, a lot of screws loose." "I watched as the two friends battled against each other in the ruined town. She hadn't made any friends yet so I might make that happen. As the battle went on, weird things started happening with the shadows. Eventually some dark knight attacked and than Nya, Sylva and the gunner Acyros were caught in the midst of his and his shades attack. They were able to fend him off until some good knights came along. Acyros didn't make it but the dark knight didn't appear to either. He apparently started ranting about an abyss. After everything cleared, Sylva won and I felt sad that the friends had to leave each other. I ended up spotting the young girl who was a pyromancer getting some samples of the dark magic and I think I should get some too and investigate it." "Hey Tai" Pele said as she ran up to her " I have an idea for a new type of dust and since you have all that stuff in your mind you could help." I alerted the inactive people and like 20 minutes later one of them popped up with a bunch of stuff and I was really surprised. Titles: Fire Girl (Don't Ask). Pets: Magically Produced Fire Cat, Constable? Appearance: Brown Eyes, normally dark auburn hair, slightly tanned skin, slightly short for her age, good posture, a single ring made of fireproof copper on her left hand, purse-like pouch to hold stuff. A couple of days passed just as they had done earlier without any sign of sentient life except for the winged woman on the mountain. Basil had set up camp for the on a large field beneath a lonely tree. even though it was very late in the evening there were no lack of light with the moon shining a white silver light in the sky over the world and of course the violent light source in the distance. the storm looking phenomenon was now so large that basil could no longer cover up it even with both his open hands straightened out. Now and again he could hear low sounds from the storms. Sounds like thunder strikes, raging winds and roaring quakes in the mountain close to the source. Across the open field there were a large number of animals like deer, birds, some large hairy animal and even horses but none of them seemed to care about the storm, keeping the distance to this human boy was far a larger concern for them, with the one exception of the crow that had followed basil ever since he arrived here more than a week ago. Basil was chewing on an apple from an apple tree he had come across the other day before he went to sleep. The land might have been completely strange and new to him but it had not proven to contain any threat towards him yet. Basil moved silently through some small tress. He took deep and silent breathes as he moved closer and closer. Then as he came just close enough he threw his bag that was attached to a rope that he held with his other hand. The bag flew just above a brown horse that he had his eyes on. The bag and the rope managed to get the now frightened horse out of balance for a short second that basil took opportunity of to run and mount the horse. He drew the rope quickly around the horse neck before it regained its balance and began jumping around trying to throw off this intruder on its back. Basil just managed to hold on as the horse set off in full burst of speed for a short distance before it began jumping again. Now basil did not manage to hold onto the rope and fell off onto the ground. Basil turned around and saw the horde run far away from him. Just as he lowered his vision to stand up he raised it again. Had he seen correctly. There had been a horse with what looked like a human or other humanoid with it further away at a small river. Both the horse and the person was gone now but the quick image still remained in basil’s mind. Basil decided to not try again with another horse since it would likely take a day or two to get another opportunity. He walked back and retrieved his bag together with his other items. The crow flew high above him making a laughing sound apparently to mock him. Just seconds later another crow appear above him, this one being silent and looking more like the one that had actually followed him until now. Was he followed by yet another crow or was this just a strange event of chance? Even hours after he had left the field behind him and walked into small valley in which a river flew the two crows remained close to his presence. One watching in silence and the other making sounds which basil kept taking as mocking. At one point he grew tired of the laughing crow and threw a stone towards it. The stone easily missed but basil noticed that something was strange with that crows left wing as it avoided the stone. Basil looked at the crow as it landed in a tree further away still laughing if it really was laughing. Basil looked over towards the other silent crow that was sitting in another tree then down on another stone. He picked up the stone and threw it towards the silent one. Just like the other crow this one revealed something strange with its wing as it avoided the stone just that it was now the right one. Basil looked at the two crows, one still laughing and the other still silent. He could not remember the silent crow ever eating anything. The laughing one he had already seen eaten a couple of nuts and the rests of an apple already. The crows were like polar opposites and they both followed or spied on him for some reason. They also kept a distance from him large enough to make it impossible to check those strange wings. Another quake from the storm pulled Basil from his thinking and he continued to walk forward. The following week Basil travelled through highly elevated land, forests and open cliffs. The mountain before him now blocked the entire view of the direct storming light source but the sky around the mountain was lit up in red, purple and yellow colors all most likely from the source. The sounds from the source were now so large that they reminded of real powerful thunderstorms, hurricanes and quakes all at the same time. The air was also different. It was cold and warm, dry and humid but mostly filled with what felt like powerful essence. Still with the powerful presence of the storm the animals were also here undisturbed by the storm. A few hours later he realized that he could not go any longer as the rocky cliffs before him were too steep and tall. He watched around and to walk around the mountain would take many days longer. Then another quake struck that made a boulder further behind Basil to crack and fall down a hole. Basil walked to the location and found what had earlier been a river but was now dried up. The river had cut a path through the rock and into the mountain but the actual water was now flowing further down. Basil watched through the path and noticed that it was wide enough for him to fit. The river had cut through the weakest rock and left hard rock to support the path. Basil sat down for a moment thinking. It felt stupid to consider walking through the path but something made him feel like it was the correct way. Maybe it was only his guts or essence that flew from the path but it managed to convince him. He jumped into the narrow path and followed it into the mountain. Basil held his sword in his right hand before him channeling a slim white flame to lit up the path. The path was longer than Basil had expected and began to split up into different paths multiple times. Some paths led straight down into the violently flowing stream so Basil had to walk careful to avoid falling down to what seemed to be a certain death. Most of the splitting paths were easy to choose as only one was either large enough or appeared safe, until another quake struck. Basil held onto the walls for the short while the quake diminished. He thought for a short while to turn back but the flow essence or magic was stronger now and it was almost easy to make out the correct path where it came from. Basil began to ignore the quakes that turned louder and shook the path more violently as the other sounds grew louder as well. Then when he turned around another corner with multiple paths he saw a shifting light. The end of the tunnel. As he moved closer to the opening the essence grow stronger and almost made Basil uneased. What in the name of the gods could this storm be revealing a power equal to the gods without even being in sight already? Basil held tight onto his sword as he approached the opening. He took a deep breath before he took the last step out of the tunnel. Basil was as frozen in place as he looked at the storm which was now in plain sight before him but still one or two kilometers away. The storm was nothing like anything Basil had seen or even imagined before. Just the kilometers before him was a huge bowl like hole in the ground and within it circulated a tremendous amount of essence around what appeared to be a white shining core in the middle high up in the air. The storm was not just a storm, all kind of magical elements seemed to be within the storm, fire, water, white essence, black essence, chunks of rock forming together and exploding over and over. It was not only the nature of the storm that chocked Basil beyond believes but the pure size as well. The storm was so large that the mountain behind him looked small in comparison. The distance of two kilometers from the storm felt like nothing as the storm appeared to be more than ten times that in diameter. The area around the storm was clear from any life, plant nor anima but it seemed clear as now and then a burst of magic broke out of the storm and broke into the surrounding area. As Basil backed he saw that it was not Frieyna. He did not recognize this woman at all and it took another second to understand that the burning wings were not from her own might but from the flames of the storm. After she had released Basil she slapped her wings once in the air violently to blow off the flames. Her wings were however badly wounded and what appeared to be bones could also be seen at some places. “What were you doing there!? Do you have a death wish! ?” The woman shouted at Basil in both anger and pain. Basil did not answer the woman. He was in not only shock but mostly confusion. He had been saved by a winged woman that was not Friyena and there were not even any tales about another bewinged woman except her. He got a quick glance over the woman’s wings. They were bleeding and heavily burn damaged. Far behind her the storm was still violently surrounding the shining core. Basil kind of came back to his senses when the woman grunted of the pain in her wings. He walked to her and helped her up on her legs trying to avoid touching the wings. He did notice being so close to the wings that they were quite different from Friyena’s wings apart from them being badly wounded. They had a softer look and the individual feathers were longer with a slightly brown-yellow white color. It was not only Basil that was confused, the woman saw the shock and fear in his eyes and the strange sword that he wore. It was apparent that this boy did not know much or anything about where or anything of this was. She spoke to Basil again but this time without the anger but still some of the pain. “What where you doing here? Basil was afraid to answer the question but he felt he had no better choice than to be honest with this savior of his life. “I was guided here. Something was calling for me. I believe it was the shining core of that storm there.” He said while pointing at the storm. The woman looked at the storm confused. “Calling? storm? Do you even know what that storm is?” Basil shook his head slowly in slight shame. The woman would have guessed that the boy must have lost his memories somehow but the equipment he wore as not of this world so something was not right. He did not know what the storm was so he probably did not know anything else about the world either. The "egg" in the future after it have given birth to the first descendant. Basil only got more confused by the answer than he had been before. Celestial? Egg? If this celestial and its egg was so powerful how could he have never heard of it. Nothing of it was similar to the tales about the afterlife either. It all felt too real to be a dream as well. So he asked her. ”Where are we?” “We are in Min Elmurion, just east of Min Bardor. In the world Heventos” She lastly added as the first names did not wake any reaction in the boy. Basil’s eyes widened by the last sentence. World Heventos? Was he really in another world? Basil took up his bag and watched the angel’s wings. They were no longer bleedin and she was not in any visible pain anymore but the wings seemed far too damaged to be able to fly with. “I really appreciate your help and kindness my lady and I’m very sorry for the harm I have caused upon you” Basil lowered his head in both respect and shame. The two began to walk west towards the village west of the storm. A journey would only take a little more than four hours. Even with her damaged wings. The angel was able to carry the boy for short distances over bad terrain but not more. As they walked Basil spoke about who he was, his life, him being a knight, about Avelaide and the battle at Lalden where he had disappeared. The angel spoke more about this world Heventos. She presented herself as an angel by the name of Veloria and she spoke about different continents and ancient kingdoms. She also mentioned more about what was called the “celestial”. Some powerful being that came to the world hundreds of thousands of years ago and threatened to destroy everything. The celestial was lured down into the earth and trapped for hundreds of years as its powers were drained into the world itself. They later arrived at a town. An elven town but these elves were far different from those in Avelaide. They almost looked more “sophisticated” and taller but a less gentle appearance. The elves directly knew the woman and wanted to help her wings. 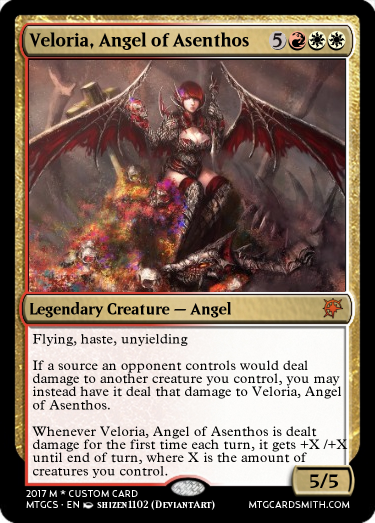 Veloria denied their help as she mentioned what had harmed them. Something or someone more capable would be needed to heal her wings if possible. Veloria spoke to Basil that she had to leave him there and fly west to some land called “Zargoth” where someone lived that could help her. “I wish you good bye and good luck. If you ever happen to came back to Heventos, I would love you see you again.” She held Basils hands in hers before she turned around and flew west and the sunset on her broken wings. In a tree just outside the village sat the two crows, one laughing, one silent .Basil walked to a house he had been allowed to stay in during the night. The morning thereafter, he left with a caravan for Mistfall and the elf named Amrir. Only a few weeks later he returned to Avelaide. I wanted to at least post the finished chapter 19 here. Since the tournament seems to be at speed again. Do you guys (specially @TenebrisNemo) want me to continue posting these here for the rest of act 4 or should I create a separate thread for these? They do take quite much space after all and most that happens in this act except the last chapters are irrelevant for the tournament in any way. I will continue to post story on the pre-battle segment (the chapter where they were investigating the shade crisis). My final chapter about Coltras leaving is coming soon. @12258290 & @DoctorFro - You don't have to write pages and even more pages about your character. Even if there is just a small piece of background and/or story, it helps quite lot. @Jonteman93 - The story you're writing is deeply connected to the world where the rounds beyond the 1st will be held, and they may give some insight about what kind of world it is for the contestants. I enjoy reading them, even if they're indeed irrelevant to the tournament. However, if you and the others think they're on the way too much, then create a separate discussion. It wouldn't be a bad idea, for it would be much easier to read Basil's story when all acts are in one place, rather than scattered around this discussion. @ShaperKyon - Sorry for forgetting Coltras's signature card. I hope you enjoyed the battle anyways, since his staff was in good use. And I personally liked to include the charm in it as well (even if it might've created a plot hole)! Everyone can't win this tournament, and I'm going to miss Coltras. It would've been interesting to see the story behind his later versions, for the second one is connected to Eetu and the third one seems to be connected to Tiamat! A loud grunt was heard in the tavern's sleeping quarters. It came from Koorir the minotaur's room. He opened his eyes while he was lying on the floor next to his bed, which has been too tiny for him. A pillow was under his head and a blanket he was holding was large enough to cover his torso only. Then he stood up. dropped the blanket onto his human-sized bed, and moved the curtains in front of the room's only window. His eyes widened as he saw the afternoon sun. "What!? It's not morning! Why hasn't anybody awakened me!? My match is supposed to be today!" Koorir took his gear and kicked his door open. As he was walking through the corridor in slightly hurried pace, he saw as Pele the pyromancer also left her room right next to him. She was holding some kind of wooden shard with black stains in her right hand as she was also on her way to outside. "Oi," Koorir shouted to the running little girl. "Has my match been-"
"Oh hi, Koorir! Sorry, can't speak now! I must meet Tai right now in our usual spot! Bye!" Then she hurried downstairs, and the sound of tavern's front door echoed in the corridor. Koorir snorted, then he also walked downstairs to the tavern's dining hall. There were a handful of people in various tables, eating or drinking. Koorir quickly recognized a black tophat with goggles at a corner table. When the minotaur walked there, he was greeted by Philibert, who was accompanied by Michiko. The circus ringmaster was drinking tea with her. As he was taking a sip from his cup, Koorir slammed his left palm onto the table while staring at him in frustration. "What tricks you hosts have been pulling now? Did you let my opponent win by default because you didn't wake me up for the match?" Michiko was sitting silently while her eyes were closed as she was enjoying her tea. Philibert put his cup onto the table, then he looked into Koorir's eyes. "Nobody is pulling tricks," the ringmaster said calmly while smiling a little. "We were forced to hold your and Miro's match later this evening. We did sent a messenger to inform every contestant who were awake here in the morning, but the young lad was afraid to wake anyone who was still sleeping." After a few seconds of standing still, Koorir sat onto one of the table's chairs. He rested his head on his right palm while his right elbow was leaning on the table. Philibert took another sip of tea, and raised one of his eyebrows. "Why did you wake up so late?" "I might have... stayed up late while drinking beer," Koorir said and yawned. "Where will I be finally able to fight my opponent?" "In Salaxum," Philibert said as his smile faded. Michiko lowered her cup. "Doesn't that bother you?" Koorir scoffed. "Why would it? Because some spirits rampaged there? Or because some frail humans lost their lives there? That ain't nothing new." The archer put her empty cup onto the table. "Many people still believe that the town is cursed, even though it seems that the shades have finally left the place." "Curses? Pff! Nonsense of humans!" After hearing his stomach's growl, Koorir stood up. "Well, I better eat well before dealing with that... assassin of... something. It'll be a battle which I've awaited for far too long!" When Koorir left Philibert's and Michiko's table, he heard as the same loud dwarf was shouting in the streets outside. "The match between Miro the assassin and Koorir the minotaur will be held at the deserted town in an hour!" It was that part of the day in Eternstor when people other than those in the docks started to return home from their jobs. The sun was setting, but it would've still taken an hour or two before nightfall. Miro left the tavern of contenders, which was now loud thanks to the many people in there. She checked her weapons before running through the main gates, and then ran to the deserted town's direction. As she followed the forest path that was lit with torches, she saw a brown horse and a soldier in an engraved steel armor riding it. The rider stopped his horse when he was in front of Miro, then he raised his left hand towards her. "Hey you! Who are you?" Miro stopped hurrying when she was right next to the rider. "I am Miro, a tournament contestant, and my match is going to start in the ruined town very soon!" "Ah, I see," the adult man said from under his helmet, which covered his head completely. "Then be careful. That place has brought a lot of misery to people around here, as you might already know. I still don't know why those tournament people still want to use it as an arena..."
The rider muttered to himself as his horse continued their journey to Eternstor's direction. Miro looked back at the soldier and noticed the rune-stone on the back of his armor. It was identical to the ones which the hosts used to imprison the shades before the eleventh match. Then Miro continued her journey to the ruins. After a while, she arrived to the broken gates, and started hurrying to the main plaza's direction. As she was traveling through the streets, she noticed how the atmosphere didn't feel the same. The setting sun's rays lit the alleys and buildings unlike before, but there was still a sad feeling of emptiness. Right before entering plaza, she saw someone on their knees on a ruined structure in the distance, but when Miro blinked her eyes, nobody was there. "This place doesn't feel as scary as it did before, but now it feels... sorrowful. I hope I won't die here today." Miro walked to the edge of the plaza, where Koorir was already waiting, holding his large axe with his left hand. The tournament hosts, guards, and healers were in their usual spots, and a couple of contestants were present as well. A handful of civilians were on the wooden stands, the most faithful spectators of the tournament. Michiko could be seen crouching on top of a building's roof. Many other people from earlier matches hadn't arrived, but Miro didn't care about that. When she walked to her spot at the edge of the plaza, Sir Killian turned to look at the audience, then began his usual speech, which ended with the same saying. "... Our heroes will neved die as long as we have faith in them." Everyone repeated the same saying. After that, Sir Killian raised his right hand to Koorir's direction. 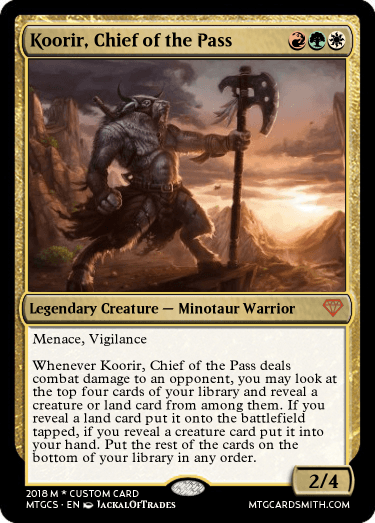 "A minotaur, who is always ready to fight; Koorir, Chief of the Pass!" People clapped as Koorir raised his weapon towards the sky, and the sun's orange ray shined from the axe's blade. When they stopped clapping, Killian raised his left hand to Miro's direction. 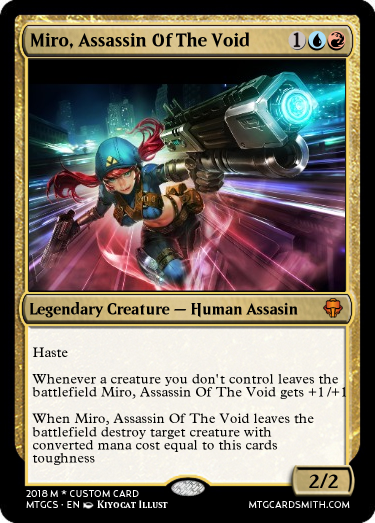 "A human, who has been shaped into an effective killer; Miro, Assassin of the Void!" Miro span her both guns in her both hands as another applause echoed in the town. Finally, Sir Killian turned to look at both contestants, and raised his both hands towards them. "Let the thirteenth match begin!" 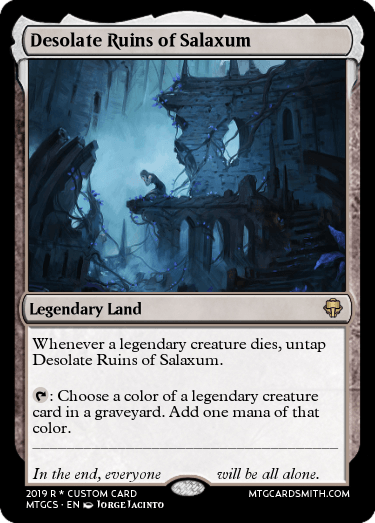 Loud stomps echoed in the alleys of Salaxum as Koorir was running to the direction where he believed Miro was. Both contestants ran to the town's streets when Killian announced the start of the match, and since then Koorir had tried to chase down Miro, who had shot at the minotaur a couple of times. After each attack, Miro had run to another location, where she would repeat the same tactic to wear down her large opponent. No bullet had hit Koorir so far, who had been vigilant enough to take cover whenever Miro showed up in the distance with her guns. When Koorir saw Miro again, he ran through the door of the nearest building. A few bullets hit the building's wall a few times, then silence surrounded area. Miro, with her both pistols pointing at the door, slowly walked down the street. The building was tiny, and it didn't seem to have another exit. The windows were too small for the minotaur. "Why don't you come in here and fight properly?" Koorir's voice came from the dark building. Miro just chuckled. "Why don't you come out from there, big guy? Are you afraid?" Then Miro saw as a stone flew from the building's window right towards her. It would've hit her head if she hadn't been fast enough to step aside. Fine then. I'll enter in my own way. 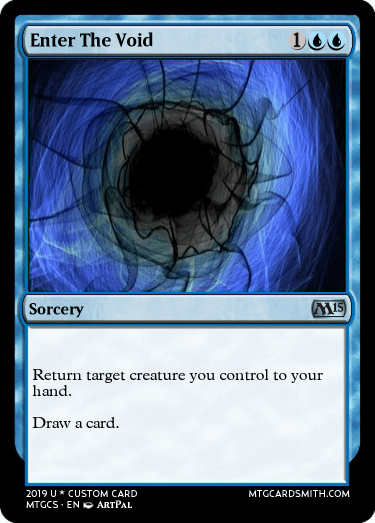 A dark portal with a blue aura appeared before Miro. When she entered it, the portal vanished. Koorir peeked from the building's window, and didn't see Miro. When he was about to exit the building, he heard footsteps behind him. He quickly turned around and saw Miro, already firing at the minotaur. One bullet hit Koorir's left shoulder as he was taking cover by stepping outside behind the outer wall, and his red blood splashed onto the street. He grunted and ran away from the building. Miro also ran outside, and saw as Koorir turned into an alley. She reloaded her guns while chasing the now injured minotaur. Alright, time to finish him off. I bet he didn't realize until now how devastating guns are. The sun was setting, and the alleys untouched by its rays were darker than before. But Miro could still see the drops of blood, which she followed swiftly. She could hear Koorir running, but she didn't see him. The minotaur had taken many turns in the alley maze. Miro was cautious. When she couldn't hear Koorir's hoofs hitting the stone ground in the distance anymore, Miro expected her opponent to be waiting for her right behind a corner. After a moment, Miro arrived to a point in a long alley, where the blood trail led into another building. When she was slowly approaching the doorway of that building, a loud noise of destruction startled Miro as Koorir jumped trough the stone wall of the building. The bleeding and furious minotaur hit Miro's head with the other end of his axe. The impact also made her hit the back of her head at another building's wall. Miro fell onto her knees and dropped her guns. First she shook her head, then she saw as Koorir was about to decapitate her. Miro quickly rolled away from the strike, then stood up. Koorir let out a menacing snort, then he charged at the weaponless assassin with his axe. As Miro was running away, she saw that a dead end was before her. When Koorir was about to strike her with his axe once again, Miro suddenly changed direction, jumped against the wall on her right, then jumped behind Koorir, who was wide open from his attack. Miro, whose head hurt like hell, ran to get one of her guns, which was lying next to the doorway and a broken wall. Then suddenly, she screamed when she felt as sharp pain pierced her right leg. Miro fell onto the ground and saw as a hatchet was sticking from her right leg's calf. Koorir had thrown it at her. "That's how it feels when you attack someone from behind!" While gritting her teeth, Miro pulled the hatchet from her right leg, stood up with her left leg, and threw the bloody thing at Koorir. The minotaur parried it with his axe, and ran towards Miro once again when he saw her limping towards one of her guns. Her hands were shaking as she picked it up, and when she turned around to shoot with it, she suddenly fell. Miro was lying on the ground, on her back. She didn't feel anything as she looked at the first stars, which were starting to appear in the evening sky that was both orange and dark blue. When she slightly moved her head to the right, she saw the bloody wall. Next to the wall stood Koorir, breathing heavily, and covered in blood. Miro's blood. She looked at her body, and saw her lower half lying right next to her. Koorir had cut her in half from her stomach. The utter shock struck her harder than any other thing in her life. Koorir calmed down as he stared into the eyes of the dying assassin. Miro was still holding the gun which she picked with her left hand. With tears flowing from her eyes, she slowly moved her shaking hand and aimed with the gun at Koorir's head. The minotaur stood completely still. After a few seconds of aiming, Miro's eyes closed and both her hand and gun fell onto her own blood puddle. Koorir picked up his hatchet which Miro threw at him earlier, then he walked to the plaza's direction while cursing the wound on his shoulder. The people at the audience witnessed the whole fight from the large water orb Eetu had cast before them. Michiko also saw everything from the edge of a building's roof, which was right next to the alley. She stood up and watched as the red sun descended beneath the trees in the horizon. When the healers found Miro's remains and were healing her body, Sir Killian's voice echoed in the ruins as he announced the winner of the thirteenth match. Koorir, covered in blood, charges to the 2nd round! 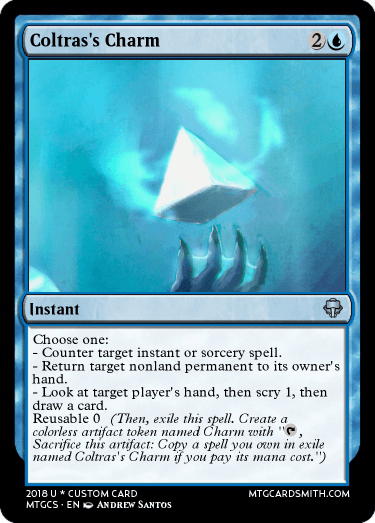 Remember to post his 2nd version anytime before the 2nd round starts and remember; the second version's converted mana cost must either be 4 or 5. @12258290 - Miro was defeated. Only you know what happens to her. You may post her later versions here and tell everyone what she will do now! Tournament bracket has been updated! 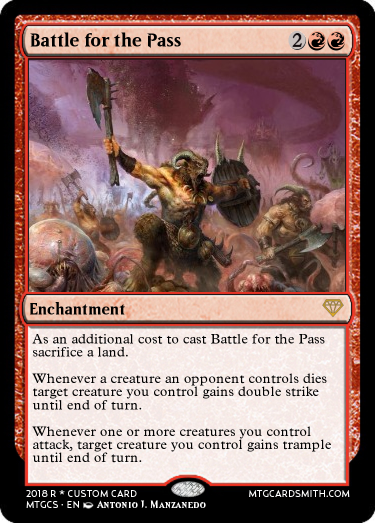 @DoctorFro Was it Battle for the Pass? Signature cards helps me to understand your Champions' battle tactics a little better, but they will increase your chances in matches only a bit, though. If you have an opponent that's equally as good as your Champion, the one with the better signature card(s) will be victorious. After 1st Round: Upgraded version of your Champion with CMC 4-5. After 3rd Round: Even further upgraded version of your Champion with CMC 6-7. After the Final Match (optional): Create the 17th Champion version of your Champion.